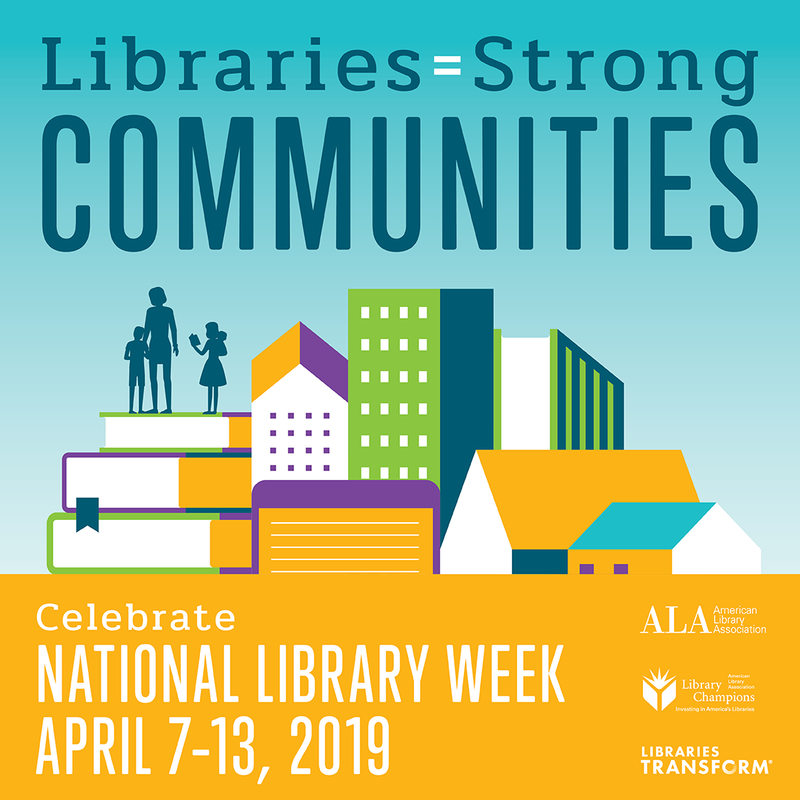 National Library Week 2019 takes place April 7 to 13. If this is news to you — or if you, like many of us, are an epic procrastinator — breathe easy. There are plenty of quick, simple ways your library can celebrate. If there's ever a week to go heavy on the social media, this is it. Invite your patrons to use hashtag #mylibrarymystory to share how they use their library, and get that message on your library's social media as well. ALA's National Library Week toolkit has ready-made "How Do You Library?" graphics for sharing on Facebook, Instagram and other platforms; you can also download header graphics to make your library's Facebook and Twitter pages extra festive. 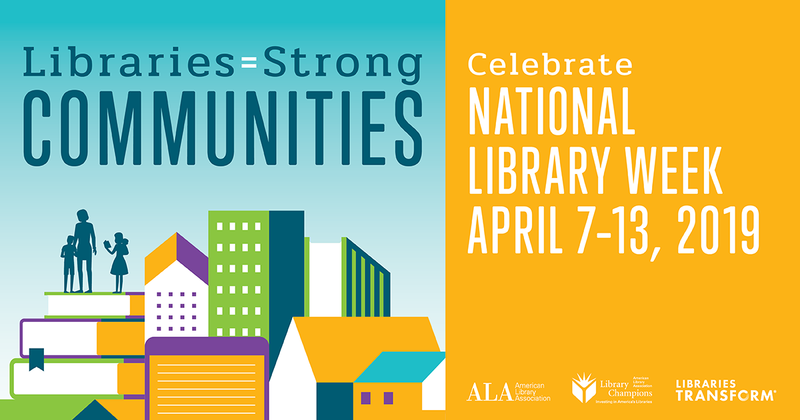 National Library Week is more than a week; it's a series of daylong celebrations. For example, Tuesday is National Library Workers Day and Wednesday is National Bookmobile Day. See the full list here. Looking for something out of the ordinary? The Allen Public Library is encouraging patrons to dress up for National Library Week following themes such as "Wacky Wednesday" (crazy socks are welcome) and "Favorite Friday," where people come dressed as their favorite book characters. Celebrate with a simple "staff picks" display or a collection of books that feature libraries. 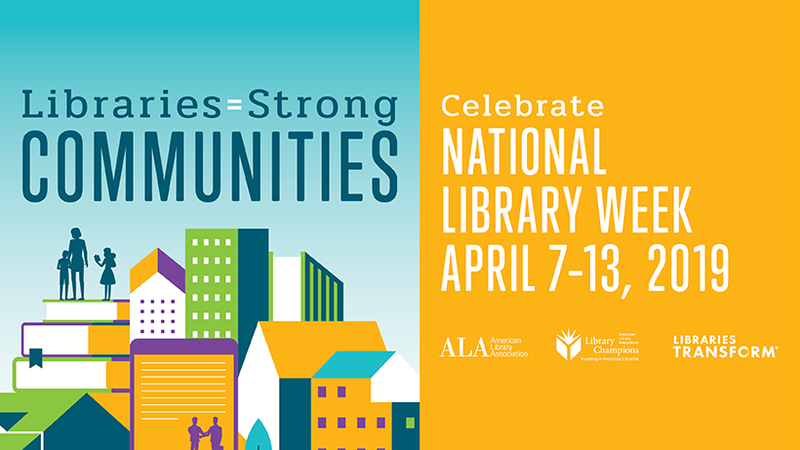 Add some postcards, featuring National Library Week Honorary Chair Melinda Gates, that you can download for free from ALA's toolkit. Set up an "I Love My Library Because..." wall where patrons can write down why they love their library. Have them stick Post-its or pin their notes to a bulletin board. Madison Area Technical College Library hosted a caption-writing contest in celebration of National Library Week using historical photos from the college’s archives. Students competed for a $50 Amazon gift card by writing clever captions for the photos. Invite patrons to share a favorite library memory in a simple writing contest. Do you have other plans? Share them in the comments.